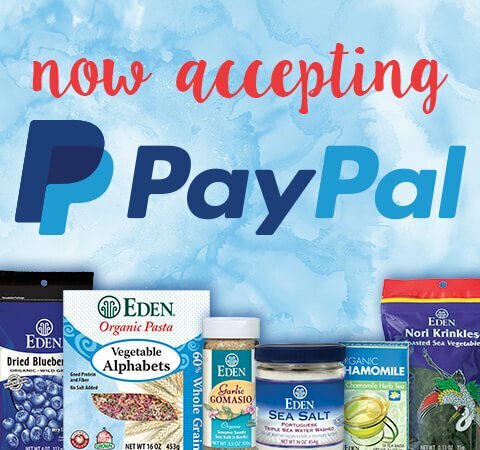 Stock your pantry with our three lightest textured pastas made of 100% durum wheat flour. Durum wheat, the best pasta making wheat, is organically grown on USA family farms and small batch freshly milled into semolina wheat flour. 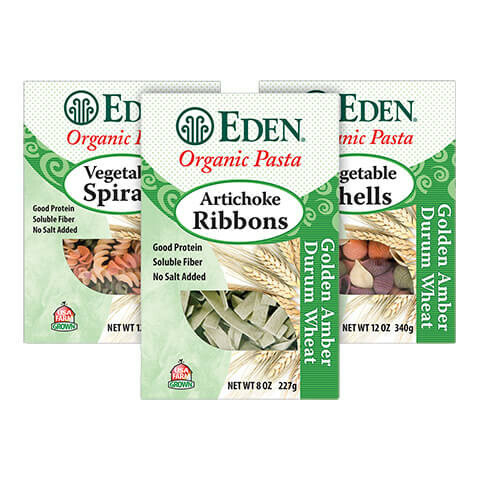 Ribbons, shells, and spirals pasta, all get their festive colors from golden amber durum wheat and organic vegetable powders. 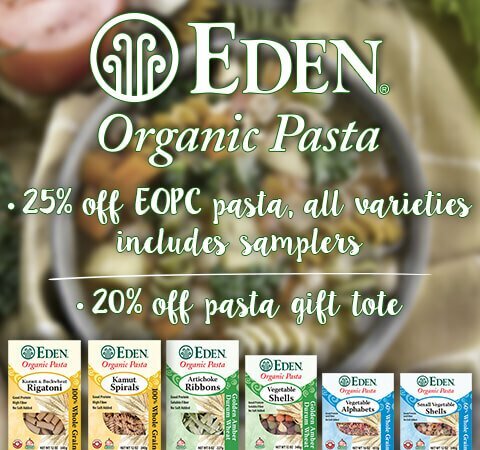 You can taste the difference organic ingredients make in these delicious pastas. No salt added. pareve.